Do you often find yourself overwhelmed with too many tasks to complete in a single day? 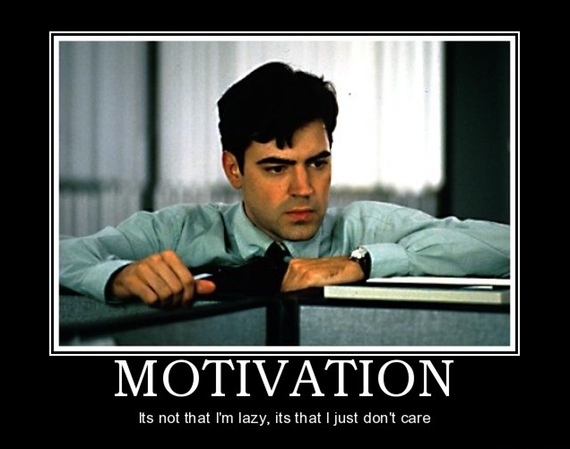 Or more so, are you battling that uphill learning curve to grasp the knowledge needed to do those tasks? 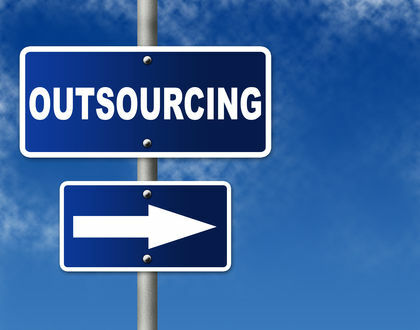 One word of advice for you… Outsource. If “outsourcing” itself sounds daunting and like yet another task that you would need to learn – Don’t worry, it can be simple as well as surprisingly inexpensive. Whether you are just getting started as an internet marketer, or you have been busy generating revenue online for awhile, this likely isn’t the first (or the last) time you’ve heard that outsourcing can make your life easier and help take your business to the next level of profits. Below you will find a few specific tips that will help you outsource more effectively. > You post a description of the work you need done on an outsourcing site (could be anything from a 5-minute task to a full-time job). > Outsourcers (contractors/freelancers) from around the world apply for your job posting, and tell you how much money they are willing to take for the particular project, job, or gig. In years passed you would more often than not, get bids from people that live in developing countries that would be happy to work for far less than you’d have to pay someone from your own city. However, this has been on a steady decline in recent years. It’s worth mentioning here though that outsourcing is a two way street. Your outsourcers are not your low-paid slave labor. Treat them with respect and professionalism and they will be far more likely to produce great work for you. > After some interviewing, you hire someone, manage them, and spend most of your time on other more productive tasks. Ok so you made the decision to head other’s advice and hand over some of those tasks to an outsourcer, but where do you find them? A few of the most popular outsourcing sites include: Elance.com, Scriptlance.com, Freelancer.com, Guru.com, and oDesk.com. Or even Craigslist.org and Fiverr.com. They all have their set of advantages and disadvantages, but my personal favorite is a combination of oDesk, Fiverr, and Craigslist. It all depends on what task I’m outsourcing. oDesk has a terrific time tracking feature (they actually record the screens of your contractors as they work). Fiverr is wonderful for short simple tasks that wouldn’t be worth going to some of the other sites to find. And Craigslist, for all it’s faults, has great advantages to hiring someone full time or even just for a short gig that resides in a certain area. What should you hand off? Now let’s think outside of the box a bit. If you are like most people, many of the tasks are doable if you take the time to learn them on your own, however that takes time. Precious time. You can not only hire someone to do those tasks, but teach you how to do them for yourself in the future. The job description might sound something like this: “Needed: someone to do ABC and XYZ to my WordPress site, submitted along with a written and verbal teaching manual for how the task was completed.” This way you can forego spending X number of hours stressing out trying to figure out the inner workings of WordPress (for example). You hire someone for X dollars per hour who already knows how to do the task in question and within 2 hours he/she will have done the work and will have sent you a detailed explanation of how to do it for yourself in the future. Perfect! > Specify the range for what you are willing to pay for the job/gig. Research the going rate for the job before posting and then be firm in what you are willing to pay. > Before hiring someone for a big job (such as a total site rebuild), hire a few different people for smaller tasks first. That way you can get a feel for if they would be the right fit for the larger project. > If using oDesk, Fiverr.com or any of the other sites that have a built in feedback platform, make sure you tell the contractor you are giving them a x-star review at the end of the job/gig. And don’t be afraid to ask for the same review in return. > Ask for examples of previous work that relates to the specific job/gig. For instance if you are hiring a contractor to create and edit a powerpoint video. Ask for several examples relating to that gig. > Don’t be afraid to be TOO specific in your instructions. Better to be a little too detailed than for the contractor not to have a clear scope of your vision. This is super important when hiring for anything creative (ie: webdesign, video, voice overs). Still on the fence? Lets do it by the numbers..
For many, it becomes a question of simple math. Lets say for conversations sake, that you are “worth” $20 per hour. (Could be vastly more or less, but, hey, we gotta start somewhere for this example. Your boss, your clients, or your own internal business needs are asking x amount of tasks to be done and, being only human, you have about 16 hours a day (at best) in which to do them. The MILLIONAIRE question to ask yourself is: “Which of these tasks could be “farmed out” for ANY number less than $20 per hour”? I have heard of straight up employees using this method to earn themselves time off or even week long vacations! You can take the concept one step further and not only optimize the money, but optimize the HAPPY as well. Here is what I mean: Make a list of 20 things you do. (more would be overwhelming and less would be to vague) now, on this list, mark off 5 things that you find unpleasant or that you aren’t particularly good at. Now, find a way to outsource these tasks. If Its going to get done right, its because I’ve assembled a GREAT team to do it!